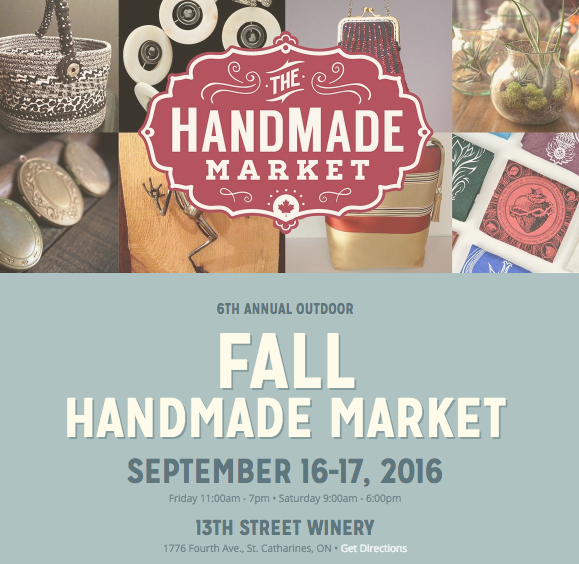 We'll be back in Niagara for another installment of The Handmade Market. I had an amazing time at the Summer Solstice Handmade Market and I am so excited to participate in our first Fall show at the winery. The location is an absolute stunner.